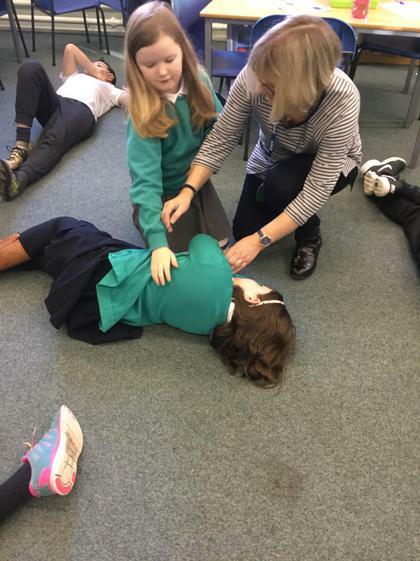 This is Junior first aid. 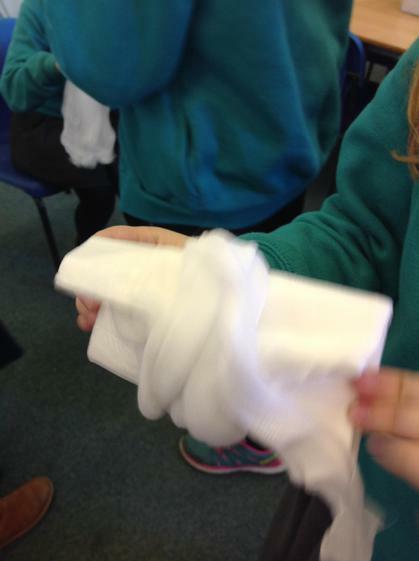 The year 5 and 6 do it. 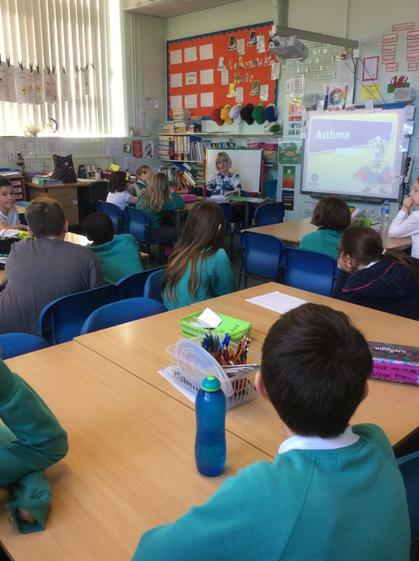 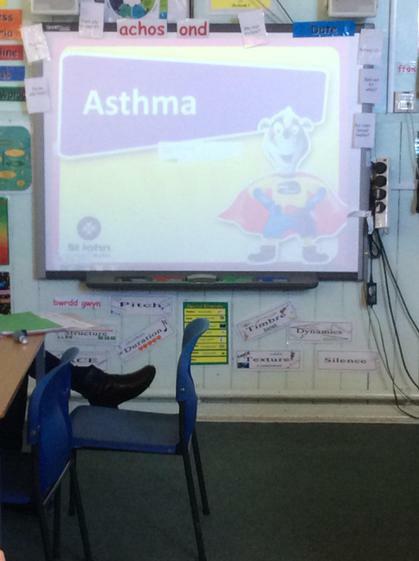 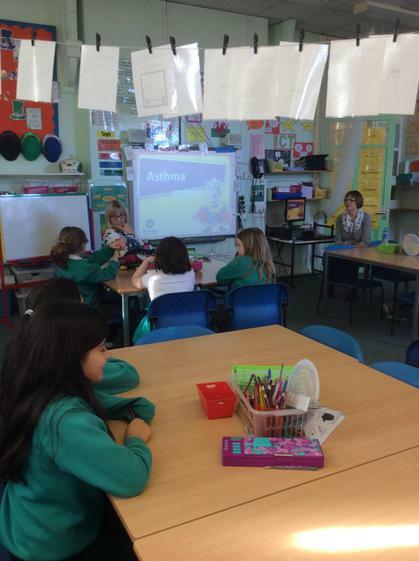 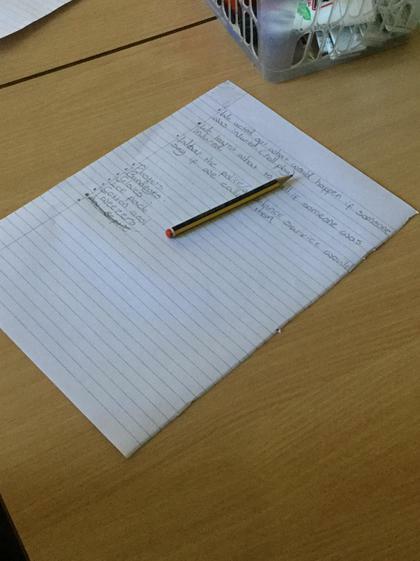 This week they were learning about asthma. 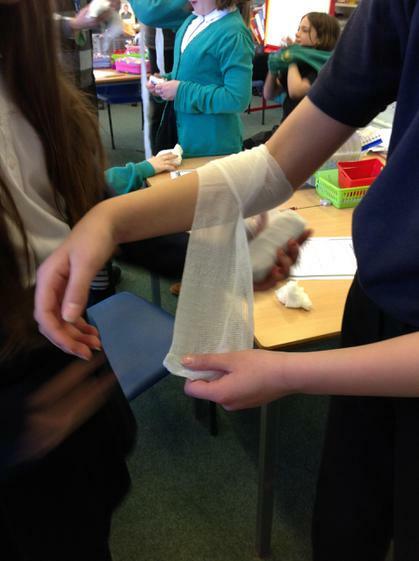 This week they were working minor bleeding . 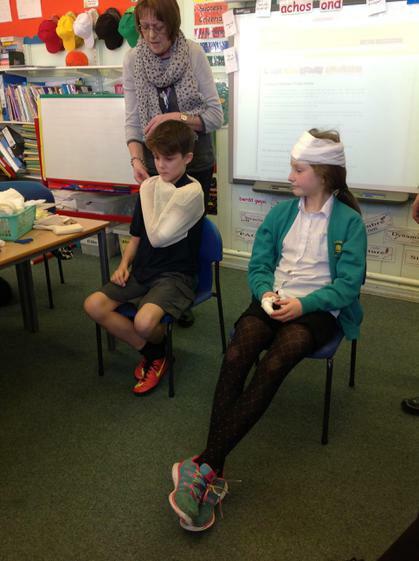 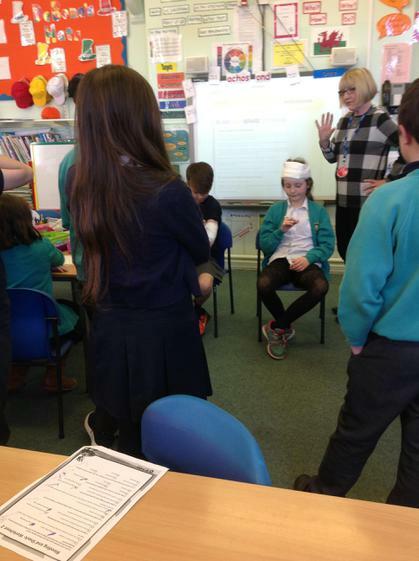 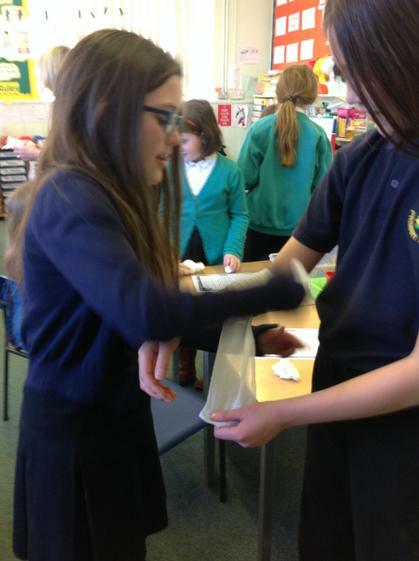 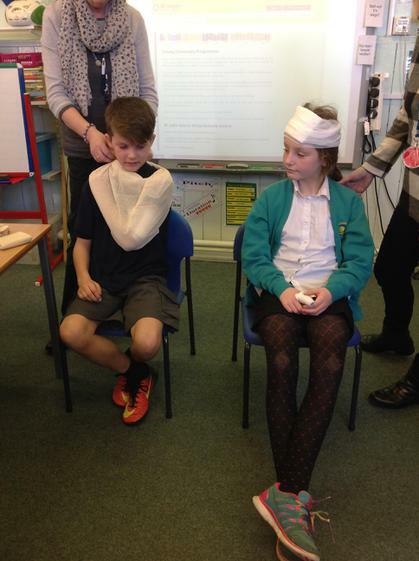 They bandaged each other and learned what to do if someone was was bleeding badly. 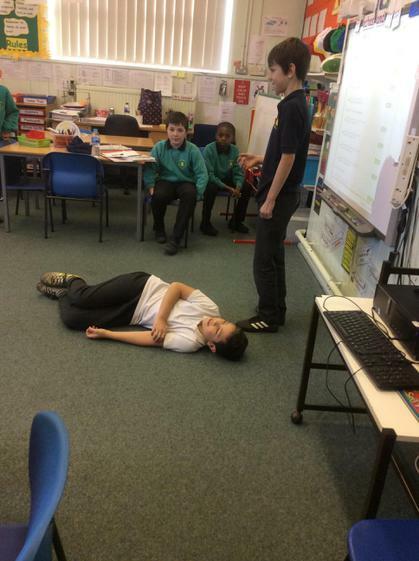 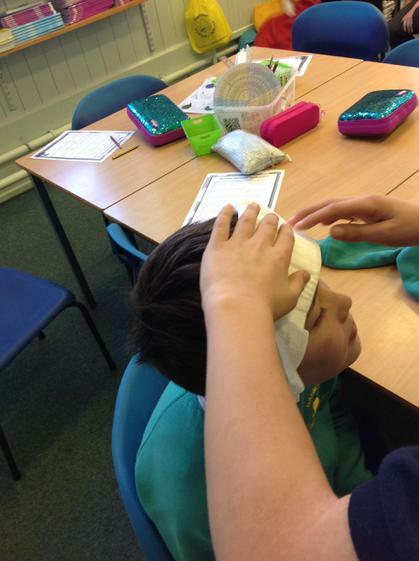 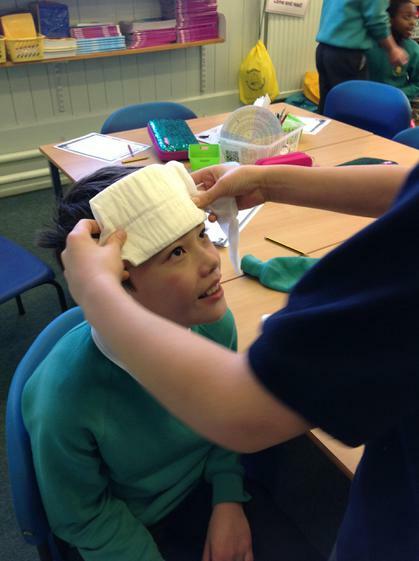 This week on Junior First Aid they have been learning about Burns and Scalds.